Last modified on July 25th, 2018 by Vincy. Inserting media elements like image or video to a WordPress post will enrich your blog post and make it quite interesting for the readers. Users wish to catch the core concept in a quick glance. Presenting content in the right way will turn your blog visitors to be your followers. Adding video to a WordPress post or page can be done either by uploading the video file to the WordPress media library or by embedding video source hosted from a third-party platform like YouTube, Facebook, Vimeo and more. 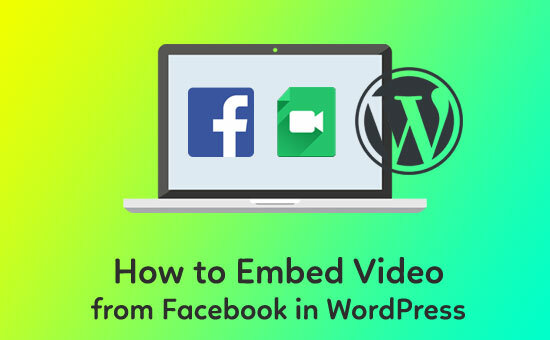 Embedding Facebook video onto a WordPress page or a post is easy and this article will help you to do it quickly. These are the simple steps to create the Facebook video embedding script onto a WordPress post or a page. Get the Video URL to be Embedded onto a WordPress post or a page. Generate embedding script using Facebook Embedded Video Player code configurator. Copy and paste the Facebook video embedding script onto the Page or Post body using WordPress admin rich text editor. Browse the Facebook videos and select one among them to be embedded into a WordPress page. By right-clicking the selected video thumbnail to copy the video link address. This video link address will be used to create the embed code snippet using Facebook video player plugin configurator. The Facebook public video embeds can be created by right-clicking Facebook video post -> Embed Video option. 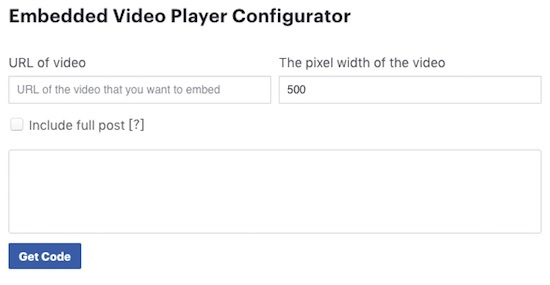 This section shows the screenshot of the Facebook Embedded Video Player Plugin code configurator wizard that helps to get the video embed. Paste the selected Facebook video URL in the code configurator input field and click the Get Code button. By clicking this button, a modal will show the code snippets required to embed the video onto the WordPress page or post. The second code snippet gives the Facebook video embedding script for the specified video URL in the code configurator. Copy and paste this script into the rich text editor’s content area by using the Text mode. If you use the WordPress admin Visual mode for pasting video embedding code, then it will break the video embed. The code configurator generates the video embed code with limited attributes like data-href, data-width and data-show-text as shown in the above code. There are other attributes to customize the Facebook video embedded on your webpage. data-allowfullscreen To enable mode to play with fullscreen. data-autoplay To enable autoplay (in mute) on page load. data-show-captions To display caption (Desktop only).